Bermad › News › News articles › Introducing Bermad’s Live Field Support. Introducing Bermad’s Live Field Support. Whether your pipeline is in a remote geographic area, or in another Australian state, the team at our Head Office is available during business hours, 5 days a week, to support your pipeline needs. We’re excited to announce the release of our new live field support tool. Connect with the Bermad team for expert technical assistance, Australia- wide. At Bermad, we want to make the commissioning and maintenance of valves simple for our customers. Whether you’re a longtime client or just getting to know our product range, we offer unparalleled technical assistance through our innovative Live Field Support tool. This functionality allows customers to live stream via a unique online link, creating a platform to communicate with Bermad’s technical team. Accessible across Australia, we have developed this channel to make commissioning and problem solving fast and effective. Whether your pipeline is in a remote geographic area, or in another Australian state, the team at our Head Office is available during business hours, 5 days a week, to support your pipeline needs. 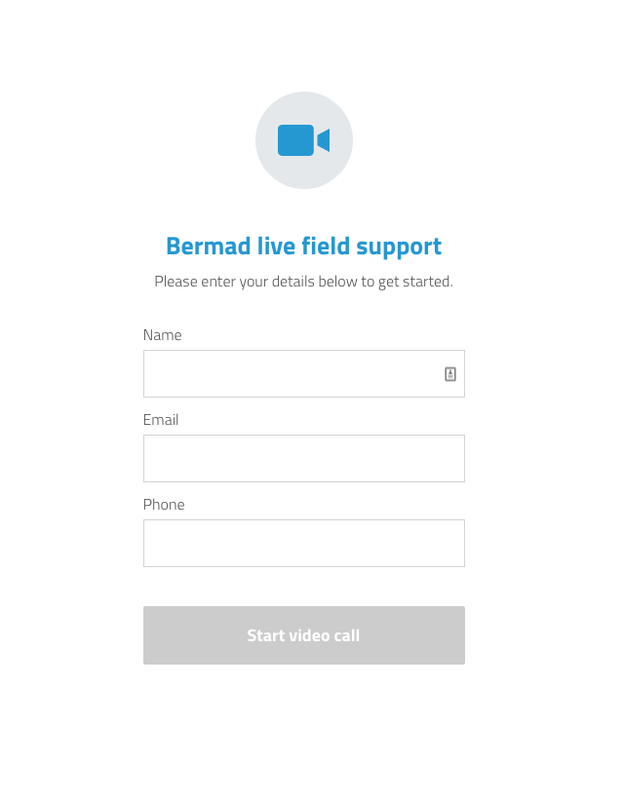 The Bermad Live Field Support tool works well due to its combination of live video streaming, and simple, easy to use interface—requiring just one click and contact details so we can connect with your device—wherever you may be. Our live field support is available for both Android and iOS users—connecting you with expert advice, technical assistance and ongoing support when you need it. This means that instead of requesting support through a helpline or online form, you are connected directly with our team through a video call that enables you to show us your problem first hand. To access live chat — you can start a call from the Bermad homepage or product pages. The live video stream is available on all iOS or Android devices. If you’re looking for more information, you can get in touch with our team, or try the Live Field Support tool here.